Veyi Kalla Mandapam Tirumala or The Thousand Pillared Mandapam, the stage. 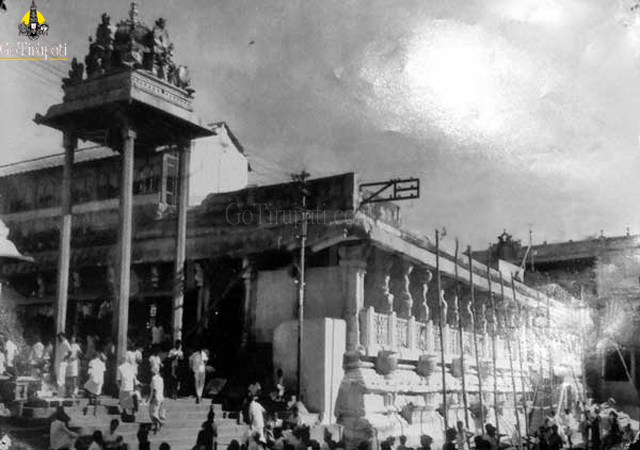 This was built with the endowments of the early rulers of the Vijayanagara Kingdom, and this is where the Kalyana Katta (Hair Offering Place) is situated. The Site yet another unique feature of Tirumala. It was constructed in the year 1472 A.D with Thousand Pillars.